Divorce online for the Pakistani Ladies living abroad. We as a Family Laws Professional Lawyers provide Divorce online services for our Clients if they want Dissolved their Nikah during their stay in a foreign Country. These are specialsed services tailored only for the convience of the women living their seprate life from their husbands and want khula due to their desertion from the Husband’s Home. We will file Khula case on your behalf and get divirce decree. We also deals in Court Marriage Nikah online, Maintenance, Dower and Articles of Dowry cases. Our is a Specialised Family Lawyers Firm which guranties that your relief will be got speedily and cost effective. 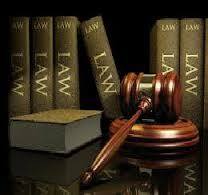 We are professional Lawyers Practicing in the Courts of Law in Pakistan. For your Divorce case we required Your Particulars and Documents of Nikah with your husband. We will Get Special Power of Attorney from you and on the powers given by you we shall file a Divorce Case in a competant Court in Pakistan. So now it is no matter you are living in Pakistan or abroad, we may act on your behalf and Plead your Family case. For detailed procedure pl. Remember: law vision (Pakistan) www.lawvisionpk.com is a prestigious Lawyer Firm Providing Lawyer services since, 1990.